Like academia and the news media, the entertainment industry is overwhelmingly run by leftists. This has been true for years but has become even more pronounced over the last decade. For proof of this, all you have to do is turn on the TV. You’ll be inundated with shows which favor progressives. Consider your entertainment options if you’re a member of the left. You can hear your biases confirmed on Saturday Night Live, the Daily Show, Samantha Bee, Jimmy Kimmel, Stephen Colbert, Seth Meyers, or Bill Maher, and most of those are just talk shows. When the Roseanne show was revived this year, conservative television watchers rejoiced, not because the show would be pro-Trump, but because it would be one of the only shows on TV which wasn’t implicitly anti-Trump. Alas, it wasn’t meant to last. The massive success of the show, coupled with pressure from the left, probably scared the hell out of executives at ABC. Roseanne Barr has been saying outrageous things on Twitter, and in real life, for years but the higher-ups at ABC bailed at the first sign of danger – a dumb tweet. Now they’re trying to recreate the show without Roseanne, an exercise in futility. Samantha Bee called Ivanka Trump a “c**t” on the air, Stephen Colbert referred to President Trump as Vladimir Putin’s “c**k-holster” and Jimmy Kimmel cries about whatever Chuck Schumer tells him to, but we can all sleep well at night knowing hipsters in Brooklyn and Hollywood will no longer be offended by Roseanne. Speaking of Hollywood, they’re not doing much better than the TV business. Their commitment to the “resistance” is costing them in ticket sales, big time. During an unhinged Twitter rant in June, Hollywood has-been Peter Fonda attacked Trump’s youngest son, Barron, saying he should be ripped from his mother’s arms and placed in a cage with pedophiles. Less than two weeks later, a new film, ironically titled “Boundaries,” which featured Fonda in a small part, opened to a pathetic haul of just $30,000. That’s probably not enough to pay the film’s caterer. Hollywood legend Rob Reiner had a similar experience even more recently. His new movie “Shock and Awe” (which is about journalists during the Iraq War, of course) just opened to a paltry $41,000. That’s a pitiful take for someone at his level. Hollywood has responded to this rejection of leftism by greenlighting a big budget movie about liberal Supreme Court justice Ruth Bader Ginsburg. Surely, this will win back the massive audience share they’ve lost so far. Just imagine all the parents of “woke” 8-year-old children who will stand in line to see it on opening night. 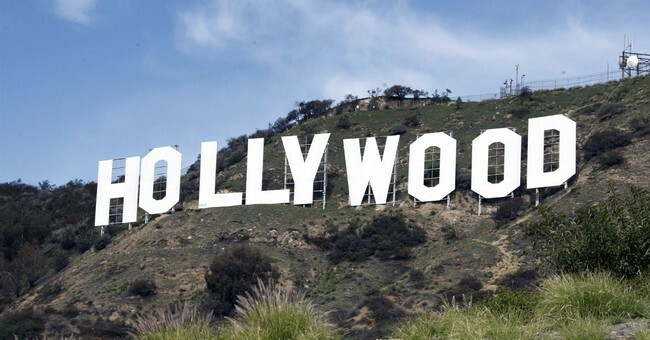 The left is using the entertainment industry, an arrow they’ve had in their quiver for generations, for purely political purposes and they don’t seem to care that they’re destroying this advantage in the process. In the progressive world, entertainment is merely a vehicle they think will help return them, and Democrats, to political power. You might think Netfilx is an option, until you remember that Barack and Michelle Obama recently signed a multi-million dollar contract with them to create new programming. How do you think it will slant politically? Many conservatives see the writing on the wall have already begun to cancel their subscriptions. If you subscribe to Showtime, you can watch Sacha Baron Cohen’s new show “Who is America?” where he tries to punk people into making America look bad, but you’d be part of a very select group. It just opened to an audience of only 327,000 viewers. Considering all the media hype, that’s stunning. One show which is doing extremely well is Hulu’s “The Handmaid’s Tale” which is about a dystopian future where certain women have no right to choose in matters of pregnancy. It has been embraced by people on the left who believe it’s a perfect metaphor for the Trump era. A little reported fact is that the show’s star, Elisabeth Moss, is a member of the Church of Scientology (Hollywood’s unofficial religion), which has been repeatedly accused of forcing women to have abortions against their will, not to mention other accusations of human rights violations like separating family members and targeting former members for personal destruction. People on the right don’t expect entertainment to be exclusively conservative, but a little balance would go a long way. Until then, Hollywood shouldn’t expect a rise in ratings or ticket sales. People have a tendency to walk away when they’re repeatedly insulted.